A UPND Kanyama ward 10 councillor who was convicted of theft by public servant on Monday and sentenced to 18 months imprisonment with hard labour has been granted a K20,000 cash bail pending appeal to the High Court. Lusaka magistrate Felix Kaoma jailed Brighton Bilumba after he found him guilty of stealing K53, 600, from the local authority, the property of the government of Zambia. After his conviction, Bilumba through his lawyer Paul Katupisha, applied for bail, arguing that his conviction and sentence were not fair. He pleaded that the court admits him to bail because if it does not, he would have served a substantial part of the sentence and his appeal would be rendered academic. 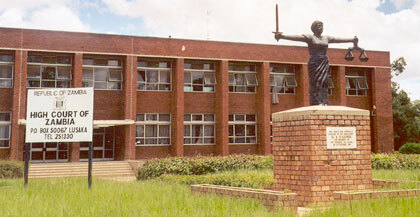 Ruling on the application for bail, the magistrate granted him K20,000 cash bail with two working sureties who are bound in the sum of K30,000 but in their own recognizance. Bilumba was found guilty of stealing K53,600 between December 2017 and January 2018 at Lusaka. It was proved that on December 22, 2015, 13 people were engaged by the Lusaka City Council to distribute land rates bills and got paid for the work but that Bilumba submitted a list of 34 people as people who had done the work instead of the 13.